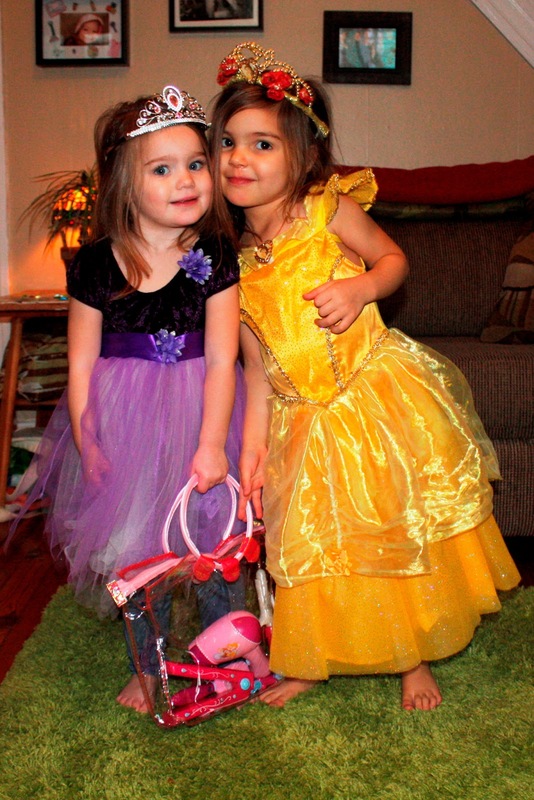 I just uploaded pics from our annual bowling fiasco and found this one of Hannah and Addy all princess-ed out at their last playdate a few weeks ago. I love that Hannah has reached an age where when you say you want a picture of her and a friend, she leans in, puts her arm around her friend, and cheeses. And she shares her dress-up clothes. Such a sweety.